Who are we? All of us here at Android Fan Network are family guys and gals, workers and students, and Android Fans – just like you! While all of those needs are being met, we are also Android tinkerers, bloggers, and YouTube reviewers. We’re not trying to reinvent the wheel, but think we can bring something different than same boring reblogging of press releases you find out on most Android sites out there. 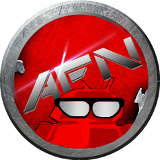 If you have any suggestions, comments or are interested in being a part of the Android Fan Network, please feel free to contact us. Android Fan Network does not accept or solicit payments for reviews. Manufacturers or their agents and app developers frequently provide Android Fan Network with review items or apps in addition to what is purchased directly by the site. Android Fan Network uses advertisements to monetize the site which allows us to cover hosting costs and purchase of review items. The appearance of a product advertisement does constitute an endorsement by the site. Our team forms their reviews solely on the merit of the subject without influence by the manner review items or apps are obtained. Portions of this site are reproduced from work or modified from work created and shared by the Android Open Source Project and used according to terms described in the Creative Commons 2.5 Attribution License. Except where noted, all other trademarks are property of their respective owners.